The Murdoch press are still using highly suspect Yougov opinion polls to manipulate voters – in this case with regard to the Labour Party’s leadership campaign. More troubling still, neither the rest of the media, nor Labour themselves, appear to have learned any previous lessons on this. A furore erupted, after a YouGov poll commissioned by The Times newspaper was published on 11th August 2015; purporting that Jeremy Corbyn had doubled his lead in the contest, over the previous week – and would receive c. 53% of party votes. It led to several newspapers and a number of high-profile Labour politicians expressing concern, with varying degrees of alarm. This is almost certainly misplaced – and far from measuring opinion among voters, it is more than likely to be centred on an attempt to influence it. In fact, this was the second time in a fortnight that Yougov had undertaken a survey on this issue for the Times. The methodology applied is unsound: several factors of measurement varied between these, making a comparison unfair and ultimately misleading. Both polls categorise respondents by their “Gender”, “Age”, the date they “Joined Labour electorate”, their “Current 1st preference”, their “2010 vote”, and by “Voter Type”. Of particular significance herein is the voter-type category. In July, this was broken-down into “Full Members” along with “TU Affiliates and £3 members”. In August this changed into “Members”, “Trade union sign-ups” and “£3 signups”. The August poll had a significantly higher proportion of “Trade Union/£3 sign-up” respondents than the July poll. In July, the weighted sample had been 832 “Full members”, versus 171 “TU Affiliates and £3 members”. In August, the weighted sample had been 973 “Members” versus 436 TU Affiliates and £3 members. The proportions here are drastically different – while the proportion of “full members” had increased by an eighth, the number of Trade Union Affiliates and “£3 members” were nearly four times higher than before. This is a major discrepancy, and results in spurious data. It is therefore not practicable to suggest, as Yougov have done, that these polls are indicative of any pattern – they are not, because they are flawed: those who are most likely to support Corbyn were significantly more highly represented in the second poll, than they were in the first. For instance, the Communication Workers Union, Unison, Unite unions had all openly endorsed Corbyn by the time of the August Poll. There is no acknowledgment of this as a factor; nor an attempt to take it into account by the polling firm. In fact, with regard to the specific question of who they would vote for to lead the party, there is no reference to TU Affiliates and £3 members at all in the August poll, despite being clearly indicated when the same question was asked in the July poll – the fact that they comprise a quotient of those being surveyed is not made clear until the last question is asked in August’s data. It is fair to conclude that these results are likely to distort Corbyn’s popularity among those surveyed somewhat. The two different sets of results cannot responsibly be compared to each other. The headlines which followed were therefore irresponsible, and almost certainly misleading. If the reaction to Yougov’s poll in July was swift and sclerotic, with various newspapers – including the Times, tellingly – bemoaning a supposed “hard left plot to infiltrate Labour race”, then the subsequent poll prompted outbursts verging on the hysterical – from the Guardian quoting Tony Blair prophesying that “Labour faces annihilation” if Corbyn wins the leadership contest; to the Independent hubristically opining that Corbyn was set for a “landslide first-round victory”. Closer to home, Yougov’s president Peter Kellner declared that he would “personally be astonished if Corbyn does not end up as Labour’s leader”. As demonstrated, however, none of this follows. The Yougov polls are flawed – and this is hardly without precedent. Kellner is the same person whose predictions regarding the May 2015 General Election proved comprehensively devoid – provided the intention was to measure public opinion, rather than serve another purpose, of course. On May 7th, the day before the General Election, Yougov conducted a poll for another Murdoch publication – The Sun – which predicted that Labour and the Conservatives would be tied on 34% of the electorate each. Needless to say, this was wrong. Moreover, during the Scottish Independence Referendum, Yougov published a poll for the Times, which indicated that a majority of Scots would vote in favour of independence. This did not transpire, either. In fact, it had undertaken a prior poll for the Times, which supposedly revealed a significant increase of support for Independence: as Kellner boldly declared via the Guardian, it “reported the narrowest lead yet” for those committed to a continued Union; and he added “can we be sure the rise in support for independence is real? I am certain it is”. A pertinent question to ask here is why does a polling firm and its figurehead, which have such an outstanding track-record of incompetence between them, continue being employed to conduct these polls? Wouldn’t it be better to simply hire an astrologist, whose rates are arguably much cheaper; hold a seance; or even just flip a coin? Well, it perhaps depends on the purpose behind these surveys. As noted, the Times had commissioned a number of opinion polls from Yougov during Scotland’s Independence Referendum. These were not about measuring opinion – but manipulating it. Murdoch wanted Scotland to gain independence – the links between himself, Alex Salmond, and the Scottish National Party have been outlined by The Conversation. In the event of independence the Scottish National Party had indicated they would create circumstances which Murdoch favoured – not merely cutting corporation tax; but paving the way for Newscorp’s take-over of British Sky Broadcasting. This had been derailed by the Leveson Inquiry. Newscorp staff had been involved in grossly unethical practices; and Murdoch’s take-over ambitions were promptly scuppered – having been adjudged “not a fit person to exercise the stewardship of a major international company” by the House of Commons Culture, Media and Sport Committee’s report. So what happened during the Scottish Independence Referendum? On the 6th of September 2014, less than a fortnight before the referendum itself, Murdoch and the Times heralded a ‘shock’ poll, which indicated “everything was up for grabs”. Unsurprisingly, this was conducted by Yougov; between 2nd-5th September, 2014. It put the pro-independence movement ahead of the Unionist movement, by 2%. As Murdoch went on to gloat via Twitter “Scottish independence means huge black eye for whole political establishment, especially Cameron and Milliband”. In the event, nothing of the sort transpired – the referendum was decided by a clear margin of 10% in favour of continued union. Let’s be generous here, and say that this was an errant poll, rather than a calculated gambit. It was certainly anomalous. This did not stop Labour, the Liberal Democrats, and the Conservatives reacting almost instantly, and pledging to devolve key powers to Scotland as a pre-condition for voting ‘No’ to independence. The following year, Labour and the Liberal Democrats lost nearly all of their MPs’ seats in Scotland during the General Election. Hypocritically enough, Murdoch had encouraged Scots to support the Scottish National Party via the Scottish Sun – while simultaneously publishing alarmist articles warning people against the SNP entering government via a coalition with Labour, through the English Sun. The rest is history. Returning to current events: imagine you were Rupert Murdoch. This is perhaps a tall-order for normal people: but to deepen your empathy here, picture yourself with an icy-cold heart; consumed by an inconceivably petty-minded and vindictive obsession with money and power; perhaps also suffering from chronic itching in places which medical science would deem ‘anatomically impossible’ – would you want Jeremy Corbyn to win the Labour leadership contest? If not, how might you undermine his chances? Well, for one thing, you could have your newspapers publish hatchet-jobs to chip-away at his credibility. You could also commission carefully mis-weighted opinion polls to ‘shock’ people; and galvanise them into uniting against Corbyn. By a striking coincidence, in recent days, the other three leadership candidates have rounded on Corbyn. Now, suppose you were a polling firm for hire; and wished to create data which indicated that Corbyn was the most popular candidate: wouldn’t the most effective way of achieving this be to ask a disproportionately high number of people you know beforehand are liable to support him, who their preference would be? The consistent inaccuracies of these polls is a serious issue – but the way they’re being used is arguably more troubling. The press are not alone with this – nor are Yougov the only source of questionable polling data. As documented on this site previously, there have been a multitude of occasions when the Department for Work and Pensions has used opinion polls from various unreliable sources to bypass evidence-based research; in order to justify enacting policies which have proven dangerous and harmful. The Conservative peer Michael Ashcroft issued opinion polls relentlessly during the 2015 General Election campaign – with seldom any questions being asked by journalists before taking such an obviously self-interested personality’s mysteriously-sourced data at face-value. There are pressing questions to be asked about how the media corrupts public opinion in the first place; then uses opinion polls to frame issues, and exploit people further still. Opinion Polls were used by Murdoch and his publications in an effort to manipulate the Scottish Independence Referendum, and the May 2015 General Election – and apparently nobody learns. They’re now being used to influence the outcome of the Labour Party’s leadership contest, in a way which can only ever serve to undermine democracy. This is cause for disquiet. The candidacy of Labour MP, Jeremy Corbyn, for his party’s leadership has prompted a variety of responses – from bemusement at his unexpected popularity, to pessimism about where it might all end. Some of this is motivated by concern for the Labour party’s political fortunes and electoral prospects; at least partly driven by a remembrance of the disastrous campaign under Michael Foot’s leadership during the early 1980’s, whose political commitments and priorities were very similar to Corbyn’s own. However, a different set of people have begun to take an interest in the outcome of this contest, with far more cynicism. Both the Telegraph newspaper, at least one media pundit, and a number of Conservative party activists have been attempting to organise large-scale electoral fraud, by joining the Labour party in order to vote for Corbyn, as a figure they believe would ‘destroy Labour’. As unsavoury as this is, it would only prove to be a waste of their own time and money – as it already has done for one of those aforementioned; and if modern Conservatism has taught us nothing else, it’s that personal responsibility, fiscal prudence, and helping people to help themselves, are all optimal ideals to advocate for the benefit of others. – Why not set up a standing order to your local foodbank? The number of people dependent upon charity in order to eat has increased dramatically since 2012. Government reforms to the social security system have contributed to this; as draconian sanctions, and purposely extended benefit-delays have been implemented. This scenario is not limited to those out of work, however – many working families also depend upon food charity from time to time, because poverty now affects more people in work than out of it; and with tax-credits set to be cut, this situation will worsen. Hunger is not limited to adults, either, but has increased among children – whose financial support is also set to be reduced. 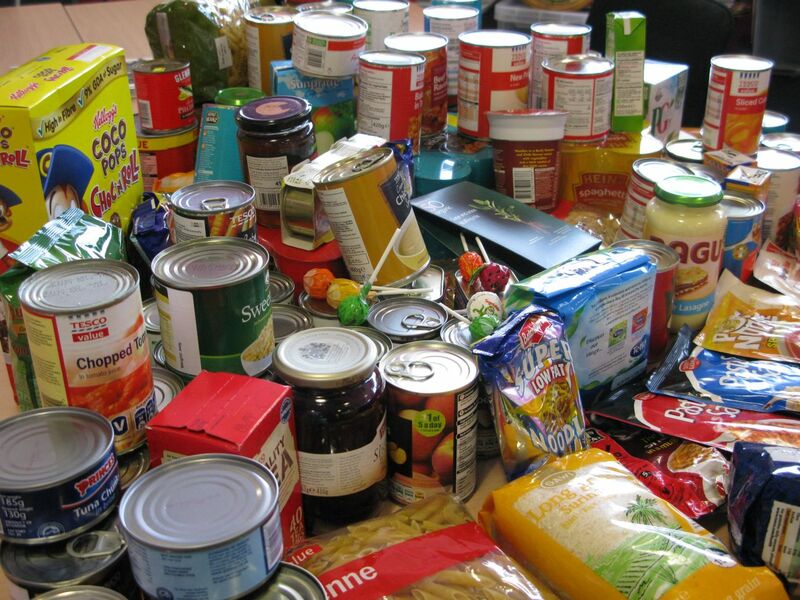 Many schools now run breakfast clubs; while international relief agencies provide food parcels to British families. £3 will be more than some people have to spend on food for several days – if not weeks, in some cases. So, while it may be only a small amount, it could make a big difference to somebody’s life – especially if donated on a monthly basis. – People in receipt of Employment and Support Allowance, who have been placed in the Work-Related Activity Group, are now set to have their financial support cut by £30 per week. 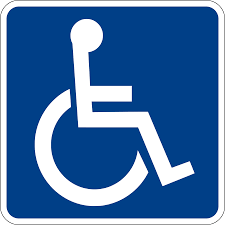 Despite the deceptive title of this benefit, it is only awarded to people who have been deemed by the government to be incapable of working; yet, despite this, they are still subject to sanctions, and will now suffer a reduction of their support. Most of these people have severe mental health problems. Others may be people undergoing chemotherapy, or dialysis. £30 per week is a lot of money for one person to lose – however, if ten people clubbed together, with their £3 each, between them they could reduce the deficit on this for one person. There are a number of charities who provide support services to people who are left with limited capacities by disability/mental illness – for example Mind, Scope, or Mencap; all of whom would welcome public donations, however small. – Cuts to local government budgets have severely reduced support for care-leavers – that is, for young people who have grown up in foster care, or in children’s homes; and have reached adult years. Many leave these environs without educational qualifications; and people in these circumstances are disproportionately prone to becoming homeless – or something worse. The Care-Leavers Foundation can provide grants and financial assistance to people – both when in crisis, and in order to undertake training or study; and rely entirely upon public donations. Changes to legal aid have restricted peoples’ ability to access professional advice. 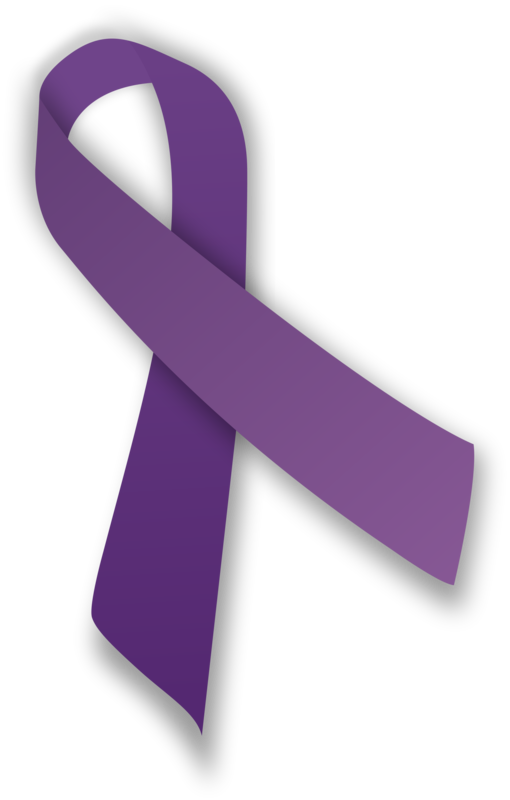 However, there are a number of national charities who specialise in protecting people from domestic violence, and supporting victims: Women’s Aid, or Refuge, for instance; or the Mankind Initiative, which provides support specifically to male victims. They all welcome donations from the public. – Homelessness services have seen their funding reduced dramatically since 2010, despite demand for their support increasing during this period. The most recent figures issued by the Government show that the total number of homeless households in temporary accommodation stood at 60,940 as of September 2014. The homelessness charity, Shelter, estimate that c. 90,000 children were homeless in Britain last winter. This is liable to understate matters, however – because many homeless people do not appear in official statistics. 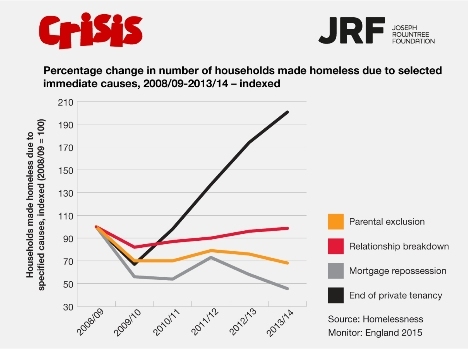 Another homelessness charity, Crisis, estimate that there are 2.23 million households providing temporary lodging to single persons in England, and to 265,000 couples/lone parents. Welfare reforms have played a part in making this situation worse, as evidenced by “the growing reliance on locally-prescribed, discretionary schemes such Discretionary Housing Payments, Local Welfare Assistance and Council Tax Benefit to supplement the weakening national welfare system”. This is set to grow worse, as housing benefit is ended for people under 25. There are numerous charities which provide help and support to people who have lost their homes; or to families which are at risk of becoming homeless. However, this problem is especially prevalent in London – where 7,581 people slept rough during 2014-15. St. Mungo’s provides outreach help and support to people in the city – and they outline how your financial support can, and does, get put to good use. – One of the key factors behind homelessness is mental illness. Unfortunately, mental health support-services have also had funding withdrawn by the government. Furthermore, adverse economic circumstances, coupled with the impact of sanctions and benefit-cuts, have between them seen personal crises result in a number of suicides. The Samaritans provide support and guidance to people in these circumstances – and would be only too glad for public donations. It may seem that £3 will make little difference to anybody in these circumstances – but collectively, it will make a big one. Unfortunately, there don’t appear to be any publicly-funded organisations to counterbalance the significantly curtailed public-expenditure on schools, colleges, hospitals, local libraries, or prisons – but people could always consider volunteering their time in these environs, which would be equally worthwhile. It would serve a better purpose than defrauding the electorate, at the very least.